Open a bag of of gummy animal mix and you'll find a multi-colored, cheerful mix of chewy gummy worms, bears and butterflies. 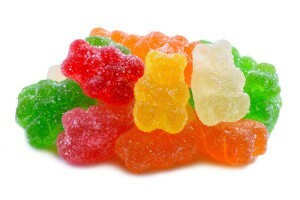 Kids can eat their favorite gummies first or save them for last. 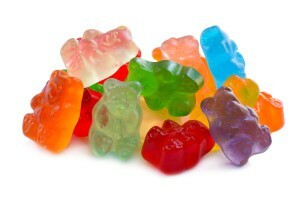 They can trade one type of gummy for another when sharing packs with friends or parents. Gummies aren't just a snack, they're a package of fun. You can get a little bit of everything in this mix. It is great for people or groups that like an assortment. Quick service. Great mix of gummies, Very tasty! We ordered the sample size of these just to try it out and they were all great! It’s the worst when you order gummies and they’re all dried out.. but not these! Super soft and fresh, we’ll order a full bag next time! We love this gummy mix. We found it once and in a “big box store” and were never able to find it again. My kids and I were so excited to find it here. It is delicious and the price is less than half the price we’d previously paid. My teenager is heading to college soon – I foresee this will be in a care package many times!! I was very satisfied with my last order in December 2016 for christmas presents and they were too.